Guests settled in the ballroom for dinner, as Lute Harmon Jr. of Cleveland Magazine and Great Lakes Publishing took the stage to kick off the show. Harmon introduced event emcee and ERC president Kelly Keefe, who shared her thrill to applaud this year’s 99 NorthCoast award recipients. Each NorthCoast 99 honoree receives a custom, hand-delivered lithograph. Showcase your organization as a great workplace by ordering more lithographs by October 12. As cheers erupted for winning organizations, the Gatsby Gang Jazz Band kept the crowd lively with musical stylings reminiscent of a speakeasy. As the program progressed, ERC welcomed 13 new winners, four Legacy Award winners, and four Special Category winners. Woven between Special Category award acceptance speeches, Top Score award winners were featured with videos showcasing their great workplaces. Keefe concluded the awards portion of the evening by introducing ERC’s senior vice president Carrie Morse, who announced keynote speaker and ERC chairman Pat Perry. Perry’s heartfelt keynote emphasized how putting employees and their families first is paramount for building superior workplaces that attract and engage top talent. The stories he told and experiences he shared from his 40-year career all had one message in common: “We know better. Now we must do better.” More of these wisdoms can be found in Pat’s second book, Business Lessons Learned Along the Way. Join us for his book launch on September 26! When the milestone event drew to a close, attendees left inspired with ideas for creating even greater Northeast Ohio workplaces for top talent. 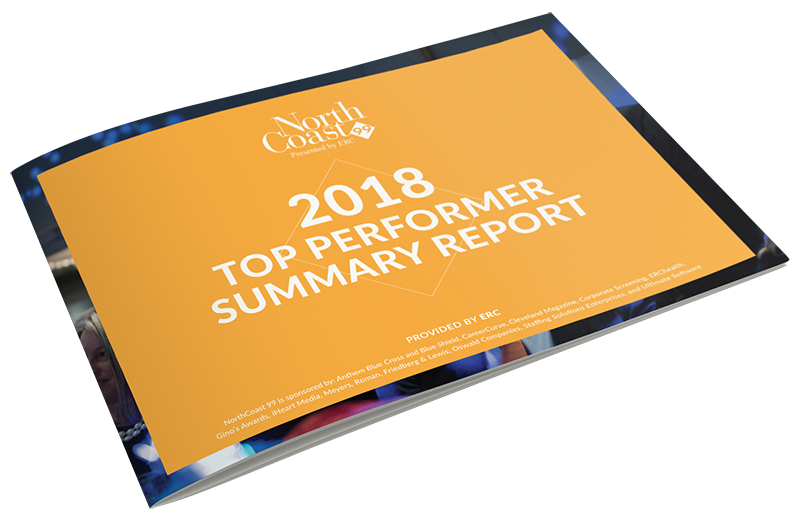 Since its 1999 inception, NorthCoast applicants have continued to raise the bar on what it takes to be a top 99-scoring organization. ERC can't wait to see what next year’s nominations bring! 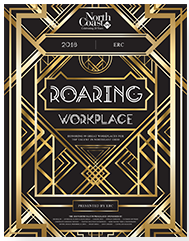 Since 1920, ERC has helped organizations nationwide engage and retain top talent.